Official says Secretary of State will deliver speech on Middle East during a visit to Egypt next month. He might then visit Israel. US Secretary of State Mike Pompeo plans to deliver a speech about America’s role in the Middle East during a visit to Egypt next month, a State Department official told the Politico website on Wednesday. According to the report, Pompeo is expected to deliver his remarks in Cairo on or around January 10, though the State Department official cautioned that the plans could change. The Cairo visit will likely be part of a broader swing through the Middle East by Pompeo, with potential stops in Israel and nearby Arab states. The report came on the same day that the White House confirmed that it has started withdrawing US troops from Syria. “We have started returning United States troops home as we transition to the next phase of this campaign," White House press secretary Sarah Huckabee Sanders confirmed in a statement. Pompeo’s address, which is still in the planning stages, would come as President Donald Trump struggles to settle on a coherent policy toward the region, noted Politico. Some Trump officials are trying to convince him that the Syria withdrawal would be a premature move that could undermine his goal of countering Iran. Trump has shown ambivalence about Syria, largely avoiding the country’s civil war but launching two sets of air strikes against the Syrian regime over its use of chemical weapons. Pompeo’s speech will likely focus heavily on Iran, as have many of his past public remarks, according to Politico. He is likely to try to rally Arab capitals to stand with the United States and thwart Iran’s use of proxy forces, support for terrorism and other activities in the region. In May, Pompeo listed a dozen demands that he said could make up a new agreement with Tehran following the US withdrawal from the nuclear deal. Iran rejected those demands outright. 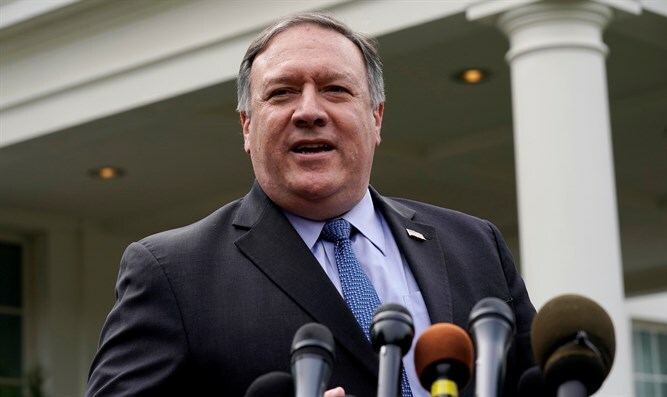 More recently, the Secretary of State issued a stark warning to Iran, making clear Washington will take direct action against Tehran for any attacks, even those using proxy forces, against US interests.